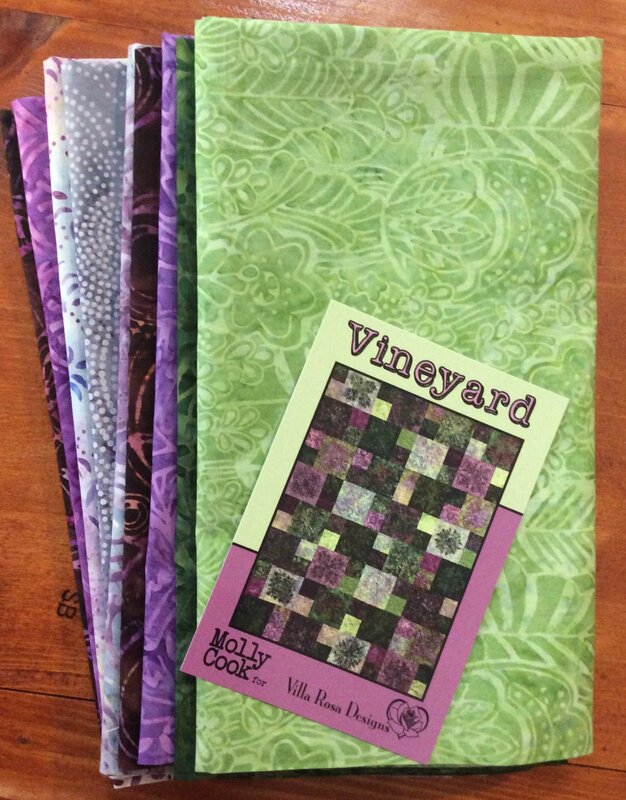 Vineyard quilt pattern kitted with beautiful purples and greens batik fabric. Binding included. Backing not included. Finished size 54"x72".